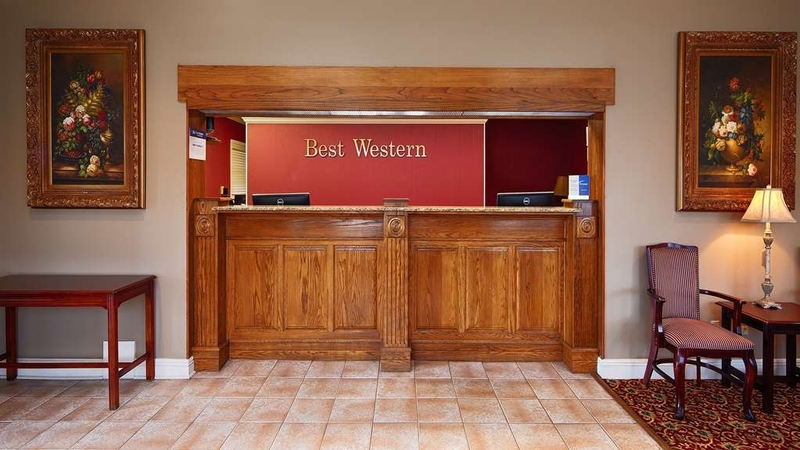 El Best Western Forest Inn se encuentra en el centro de Franklin. Venga y disfrute de las mejores atracciónes turísticas cerca de nuestro hotel. Precios bajos garantizados y ofertas exclusivas. 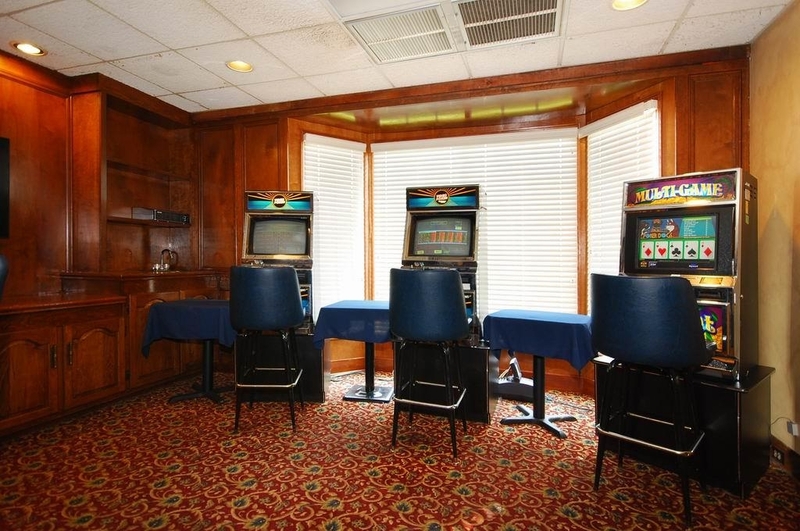 Este recién renovado hotel de Franklin, Luisiana se encuentra tan sólo a unos minutos del casino Cypress Bayou Casino y de casas históricas. Viva la hospitalidad sureña y saboree la deliciosa comida cajún mientras se aloja en el Best Western Forest Inn. Ubicado en el corazón de Luisiana, este hotel de Franklin ofrece un cómodo acceso a varios restaurantes, tiendas y atracciones de la zona. 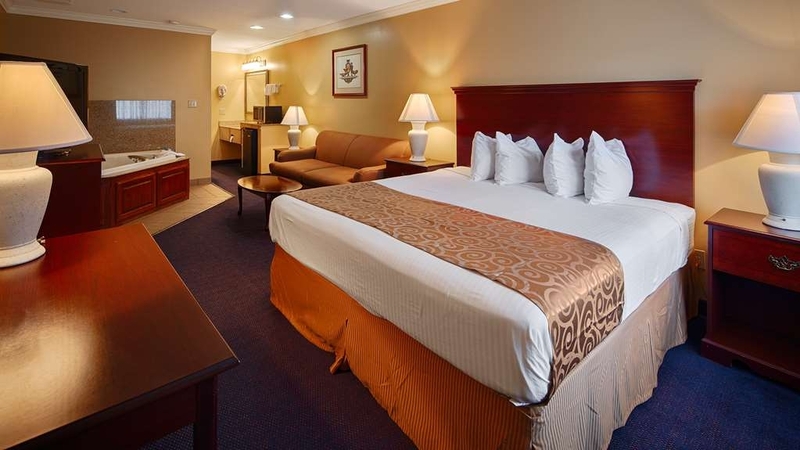 Si viaja por negocios o por placer lo encontrará todo en el Best Western Forest. El hotel cuenta con 80 habitaciones y minisuites recién renovadas. Todas las habitaciones, muy bien equipadas, incluyen microondas, nevera, televisión por cable vía satélite y acceso a Internet de alta velocidad gratuito. Los servicios del hotel incluyen un desayuno continental gratuito, piscina al aire libre, dos salas de juegos, lavandería, centro de negocios e instalaciones para reuniones y banquetes con capacidad para 300 personas. El hotel cuenta además con un restaurante para satisfacer sus necesidades gastronómicas. Los huéspedes podrán disfrutar de un recorrido de golf por el campo de golf Atchafalaya o pasar la tarde en el casino Cypress Bayou situado a sólo 10 kilómetros del hotel. Además, también pueden visitar los pantanos o la reserva india Chitimacha. Otras atracciones cercanas son la casa solariega Oaklawn y las casa prebélicas. El personal cordial del Best Western Forest Inn le espera para asegurarle una agradable e inolvidable estancia en Franklin, Luisiana. ¡Haga su reserva hoy mismo y ahorre! Disfrute de su estancia en nuestro hotel. 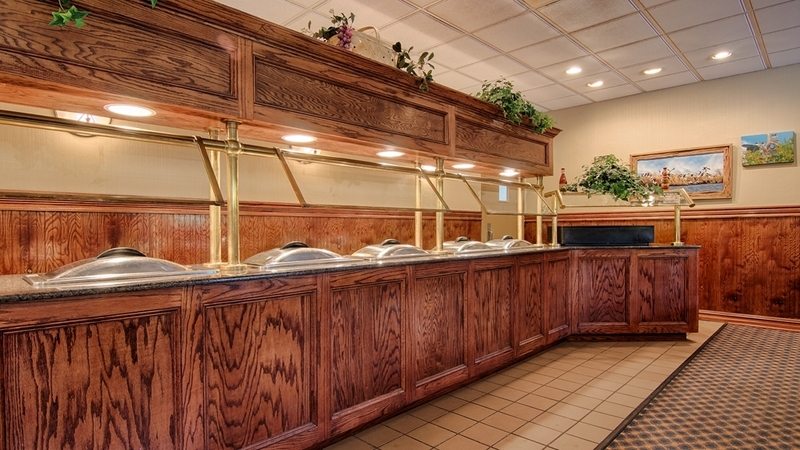 "Forest Inn has great Cajun food and a fine restaurant ambiance." My husband and I were part of a large volunteer group (16) that was staying down the road at Sager Brown, a United Methodist Depot and facility in Baldwin, La. Each year this group likes to dine at least once at this restaurant. They highly recommended it and it did not disappoint. Service was great despite the size of our group. My shrimp and okra gumbo and crayfish etoufe were excellent. 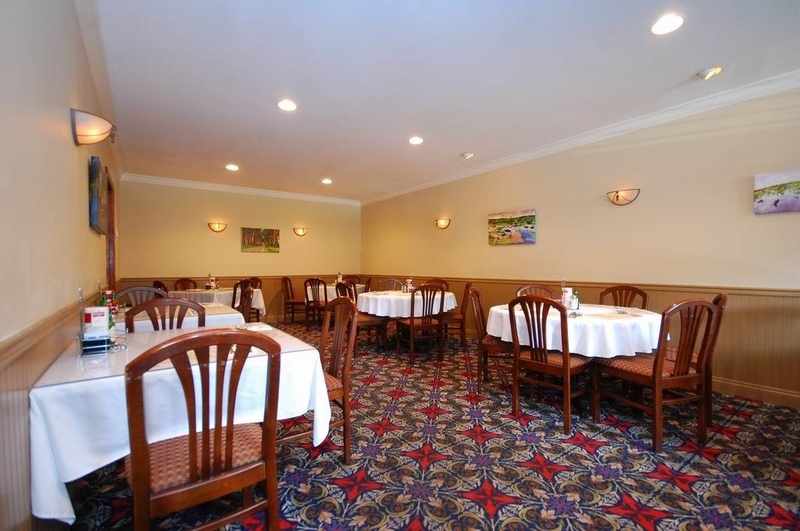 Forest Inn offers a fine dining experience. 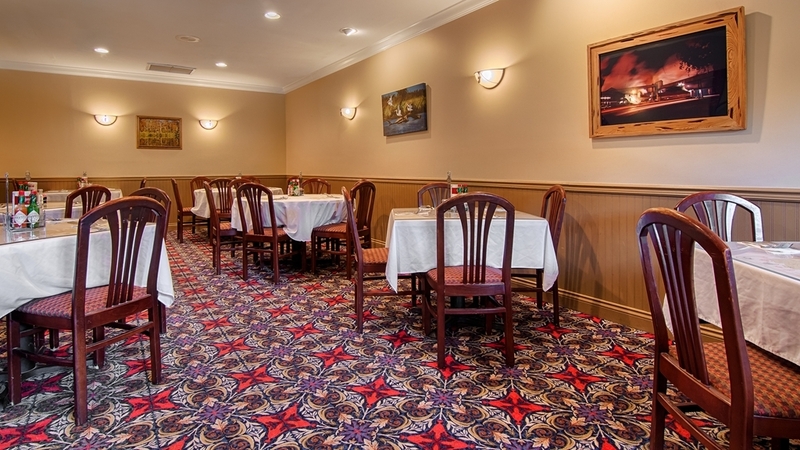 Even if you're not staying at the Best Western, drop in for lunch or dinner. The town of Franklin has many fine Antebellum homes. Take a drive through of the town and then stop for some delicious Cajun food. Thank you so much for the awesome review of our full service Cajun Restaurant!!! Thanks for the awesome review! We appreciate your business. Come back and see us again soon!! 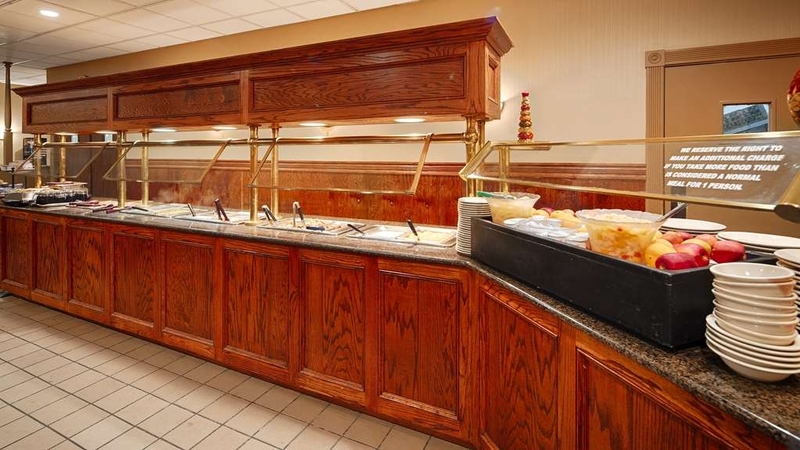 Very friendly and welcoming staff, wonderful breakfast buffet style with everything you could want for breakfast on the buffet. The rooms were fine because your only there to sleep. The bed was soft and comfy with plenty of pillows. Very quite and relaxing. Just an overall great experience. Thanks for the awesome review!!! Everyone enjoys our breakfast buffet when they are here with us. We hope you visit us again soon. The black guy at front desk with dreadlocks "jake" (I can't remember him name" was so super friendly, he was happy to help me, he told me about renting 2 rooms getting1 free..I had him sign me up. it's been a long time since I've seen someone who was that helpful. Thanks for you great review!!!! We appreciate you enrolling in our Rewards loyalty program. This little treasure is located just north west of Morgan city on hwy. 90. Its a small town getaway. The staff are professional kind and friendly. the breakfast buffet is fantastic top notch. The rooms are clean and fresh. 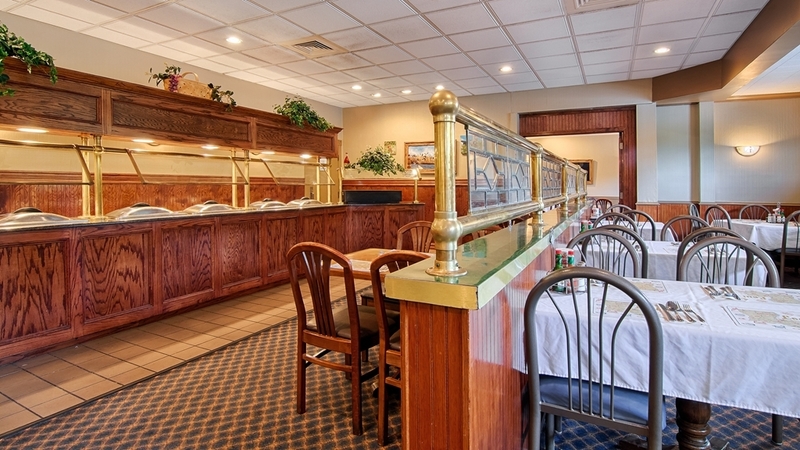 The restaurant is great with a full buffet or menu items. Thank you so much for the awesome review ! We love hearing from satisfied customers and we hope you visit us again real soon. "Needs some attention but priced right and friendly"
This motel has two stories - no elevator that I saw. Doors open to the outside. My room was adequate but nothing special. There were NO convenient outlets for my laptop, I-Pad or phone. I did not have a hot shower, barely warm enough. The best part about the stay was free breakfast at the restaurant next door. It was had a great buffet. Restaurant is great, but expect a bit of a wait as the staff dawdle. Nothing spectacular about the room and the outside of the hotel isn't appealing, but the room was clean, bed comfortable, tv worked, so did internet and the hotel staff were very friendly. Thank You for your great review and comments. We hope you come back to Franklin and see us. "Best place to stay in franklin,la." 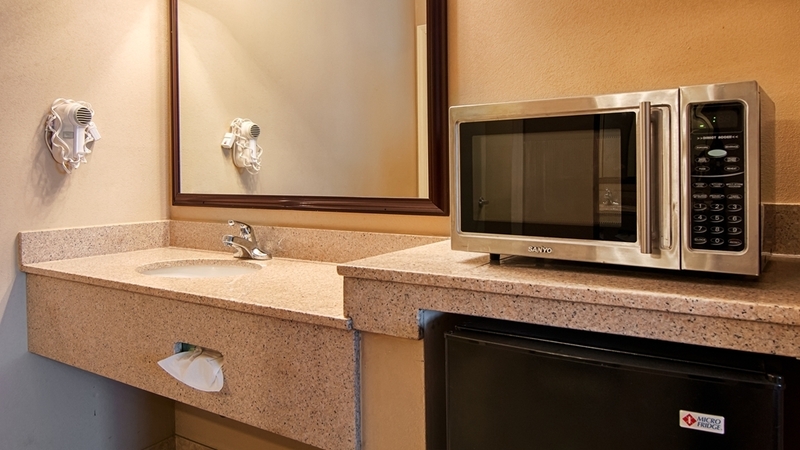 The hotel rooms are always clean and fresh. The staff is always helpful. The free breakfast is always awesome, and plenty of it. We stay there about 2 times a year. We have stayed at other places, but this is best. We were on the last night of a four day birding trip. We were in Franklin and chose this nice Best Western. From Zack at the front desk to the actual room, this place is great! Our room was recently renovated. It was large and quiet and impeccably clean. The motel layout was “sprawling”, but attractive and well laid out. Next to the sparkling pool is a cooking area for barbecues. There is a nice outdoor seating area as well. Almost all the rooms are on the ground floor. You can park right in front of your room. The beds are comfortable, we also had a comfortable sleeper couch. And, as an added plus, instead of the usual motel breakfast fare, you have breakfast at the buffet of the best restaurant in town! The “all you can eat” breakfast buffet even comes with eggs to order if you are so inclined. The food is well, prepared and piping hot. The service is friendly and prompt. All in all a very positive experience. I would recommend it to anyone. Thank you so much for the positive review. We love to hear when our guests are satisfied. We hope to see you again soon. "Nice polace to stay in small town"
Nice place to stay in small town! Convenient . Staff is friendly and helpful. Many good places to eat in town. Restaurant is pricey but food is good and service a little slow but food was freshly prepared. Would stay here again if ever in Franklin. Everything was better than I expected. 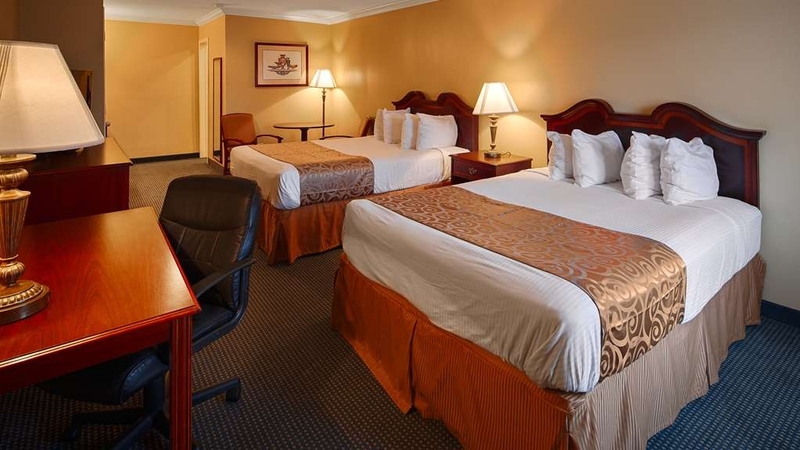 Nice clean rooms and comfortable bed. The only downside was the girls working the front desk. They were disinterested and acted like their work was a chore. The man working at night was very accommodating and helpful. Surviving the hurricane and needed to get away for a moment, just to breathe. The hotel was a peaceful resolution to my everyday shelter smelter existance. It exuded small town charm and the hotel staff was helpful and friendly. Thank you so much for your great review. I am glad that everyone was satisfactory with your stay and if you ever visit again...come see us. Hotel was clean and nice. Customer service is very good. The restaurant that is used for breakfast is to Die For, it has a wonderful buffet and a great order menu also. The wait staff are all very friendly, the service is very fast even when they are busy, and I can tell most of the locals must come there. This hotel is very accommodating. The staff and service were friendly and great. The rooms are large very comfortable. They are in the process of updating and refurbishing the lobby and rooms. The mattress could have been better but over all the stay was very nice. Thank you for the great review. We always appreciate you and your wife staying with us when you visit Franklin. Thanks again and we will see ya'll soon. "Franklin BW. Awesome people and room!" The owner and rest of the personnel are extremely friendly. The restaurant is awesome! 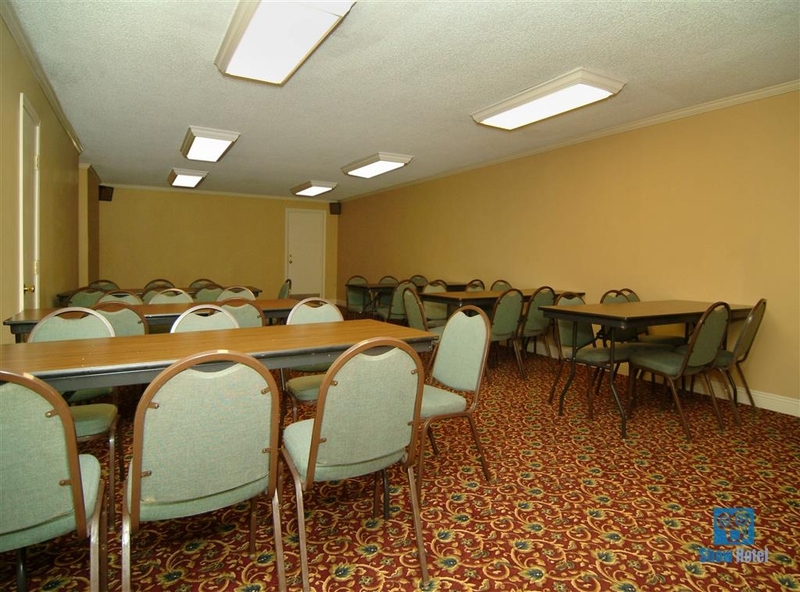 The room itself was very nice with new carpet and furniture. I will stay again. Do not let the fact that it is a smaller hotel deter you. Staff was very friendly and room was clean. Exterior was clean. The breakfast bar is superior to any continental breakfast bar that I have ever ate at. The room we were in had mini kitchen with full sized stove and refrigerator. Would recommend this hotel to others. Price was also good. Thank you for the great review. We are very happy that you were pleased with your stay. We hope to see you again soon. In Franklin with my wife for a small conference. The hotel was most accommodating. The room was nice and well maintained. Food service in the restaurant and at the banquet was very nice and unexpected for a rural town. In some ways, better than the big city experiences that we have had. The staff was warm and friendly. 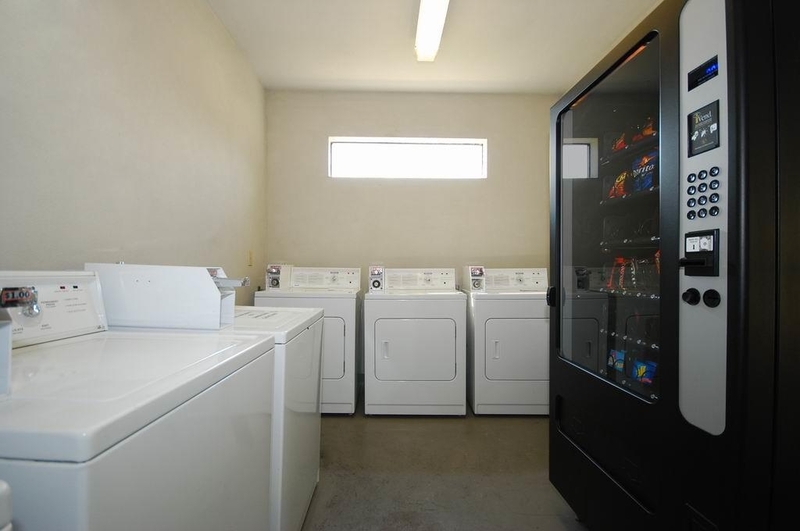 Just what you would expect in a cozy community. Overall, we were very pleased. We appreciate your excellent review of our property. It was a pleasure meeting all of you that attended the conference and I am very pleased that everyone enjoyed the accommodations and the food. We hope to see you again in the future. "Ok, found a spider in my bed." There was a spider in my bed. The pool was very crowded with what seemed to be individuals not staying at the hotel. Overall, we were there one night and not much time in the hotel. Would choose differently next time. I apologize for the issues that you had with your recent stay. Poor service. Very displeased. Their was feces in the pool and customer services could care less to get up from sitting in the lobby on her cell phone to assist. Her response was there was nothing they can do. No one was there in the maintenance department. I am so sorry that you were dissatisfied with the service here in Franklin LA. It was a holiday weekend, but someone in management should have been called when the problem was reported. The front desk agent was reprimanded for her lack of concern. I truly hope everything in your room was satisfactory and I ask that you give us another try if you are ever back in the area again. Please contact me directly at 337-828-1810. 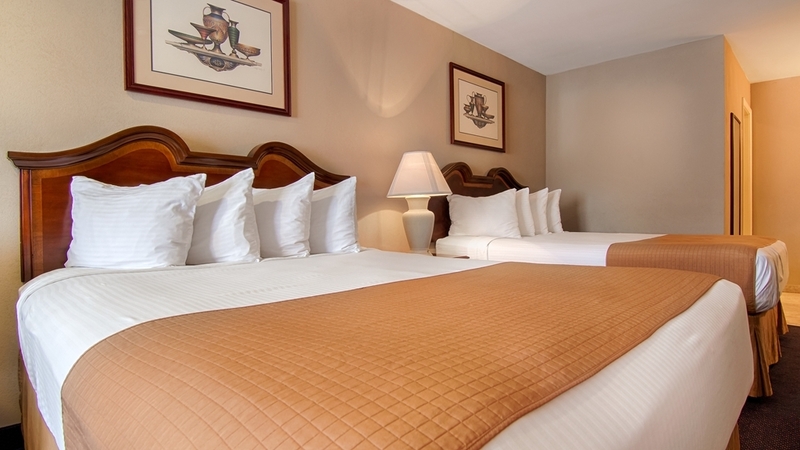 "There is no option online for a room with one queen bed, but that's what we got." I got online and looked at all of the rooms. Every room option available at this motel was either (1) a king size bed, (2) two queens or (3) two full size. I should have booked online I guess, but I was close by, so I just went there and booked the room with the desk clerk. I told her that I had my 3 lb. Chihuahua with me, and she said she would charge a one time nonrefundable $50 pet fee. That was fine with me as I had read on their web site that they had over 80 newly refurbished rooms, so I completely understood that they had to protect the newly decorated rooms. That isn't exactly how things worked out though. I'll explain. First the good: Bambi, the desk clerk was very pleasant. Check in was quick and easy. The housekeeping staff were friendly and helpful. The towels were plentiful, clean and fresh. There is a nice big grassy area where my dog was able to run and play. Internet was good until 4:30 pm. After that it was spotty at best. Parking is well lighted and plentiful. Just next door is The Forest Restaurant. They deliver to the rooms at Best Western until 11 pm. Also breakfast is free from 5:30 to 10 am if you give them your BW room number. Their food is very good. Now the bad: To my disbelief when I went to my room, number 125, I found there was only ONE queen size bed. What??? They don't even offer a room with ONE BED on their web site. Ridiculous. To make matters worse, the bed was lumpy and uncomfortable. It has metal springs in it that poke out, and its so worn out that it sags toward the middle. I'm almost 70 years old and have had back surgery. Needless to say, I didn't get much rest on this poor excuse for a mattress. Mattresses like this should go to the dump. All the way round the edge of the mattress, theres a metal rod poking out that hurts if you happen to sit on the bed or roll over to the edge. The bed linens were threadbare and dingy-looking. The entire room was ancient and run down. The furniture is worn out, scratched, dented and has seen it's better days. The AC does not cool well during the afternoon and evening, but does pretty well at night. I turned the thermostat down to 60 degrees and it couldn't keep up in the afternoon and evening. I asked the male desk clerk for a fan, they have none. Honestly, I have to say I was shocked at the shape this room was in. The moment I walked into the room, I called the front desk and asked Bambi if there were any rooms with king size beds available. I was told that there were not because all of those rooms were "already booked by a group planning to stay 17 nights". Later, when I looked out in the parking lot at 9:15 pm, I counted 7 vehicles. So I assumed the folks who had reserved all of those king rooms would arrive later. Just before retiring at 12:30 am, out of curiosity, I looked out again. There were now 9 vehicles in the parking lot. Um, I'm thinking somebody (Bambi) wasn't being honest with me. The hotel wasn't even 1/4 full, and there were no busses parked there so I'm pretty sure all those folks I'd heard about didn't arrive together in one vehicle. I realize being a rewards member doesn't really buy you much these days. But you would think it would at least buy you honesty. If Bambi had told me that because they were concerned about my tiny 3 pound Chihuahua causing such destruction to a nice refurbished room, that she would have to put me in a disgusting room like that AND charge me a $50 pet fee, I would have gone and looked at the room first and would have had the option of saying "No thanks". But I was not forewarned. And after I asked about a room with a king size bed, I was not offered ANY other type of room. Nope, no options. Even though it became blatantly obvious that evening that there were **plenty** of other rooms available. If I hadn't been so tired, I would have left immediately. I've been wondering...I can not imagine WHY they would charge a $50 pet fee for room 125. My Chihuahua could not cause any more damage to this room with the state of disrepair its already in. And honestly, except for the TV, every piece of the furniture in that room isn't even worth $50 in total. I wouldn't give you $5 for all of it. Sorry folks, we just are not used to staying in such a squalid room. And here's the kicker....room 125 is the last room on the end. There is construction going on about 50 feet away on another room on the end. I was awakened this morning at 7:19 am by loud hammering and banging and men talking loudly. I don't know if Best Western hotels are owned by individuals or by one corporation, but I'm going to find out. I'm a letter writer, so if this is a corporate holding, I'm going to write to their GHQ about this "bait and switch" tactic. Perhaps there is someone in upper echelon management that will make some changes and keep other unsuspecting travelers from being duped as I was. At the very least, they should refund the $50 pet deposit. Regrettably, we had had a lovely room in Morgan City the evening before, and decided to stay in Franklin so my husband could be closer to work until we could find a house to lease. Before seeing how disgusting the room was, I had made reservations with Bambi for the rest of the week. I knew that was a BIG mistake after seeing it, but when my husband arrived after work, he was just as appalled as I was and said he "would not spend another night in this dump". I went back to the desk clerk that evening and cancelled the reservations for the rest of the week. We are now happily back at the nice hotel in Morgan City, where the room rate is $10 LESS per night than the hideous room 125 at Best Western. To sum it up....would we stay at Best Western Forest Inn again? No. Do I feel I was treated fairly? No. Am I a happy guest? No. Goodbye dark, dingy, smelly and uncomfortable. Hello clean, bright and cozy! SO thankful to be OUT of Best Western Forest Inn. I didn't take pictures. My reviews speak for themselves. This was a great place to stay for our conference. The staff was friendly and the food was delicious. The atmosphere was pleasant and it was close to downtown. Franklin is a beautiful town in South Louisiana with several interesting shops for antiques and jewelry. Everything about my stay was GREAT!! Workers were professional and kind!! The suite was clean, spacious and cozy!! Everything worked!! The internet was fast and active!! Housekeeping was GREAT!! Overall the stay was PERFECT and I'll be back!! Thank you so much for your great review of our property her in Franklin LA. We hope you visit us again soon and hope you have an AWESOME weekend!!!! I got a room in the back, the had bugs in the sealing and in the walls so I call and the office and they gave me a room next to the front. The room look more taking care of but I found money on top of the entertainment center and I found a shirt on the closet. The next morning when I woke up I had bags under my eyes. I talk to the office in the front and all they told me was sorry. They say it's because of the Easter holiday! It's not a reason. 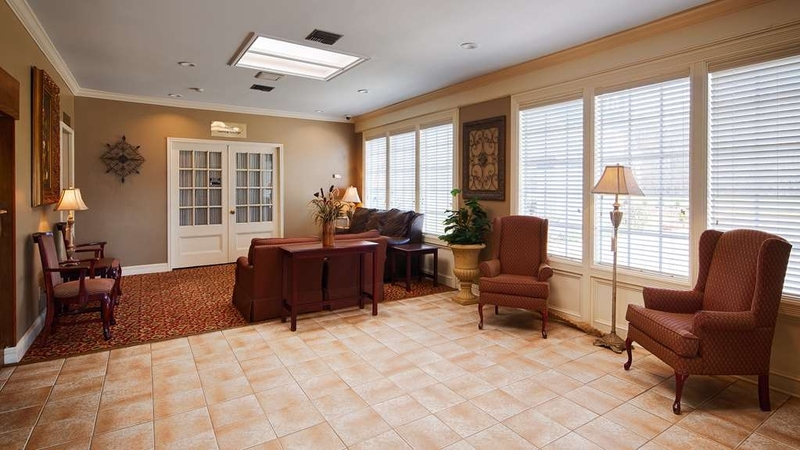 "Best Western stay in Franklin Louisiana"
Our stay was very satisfactory. The breakfast at the next door restaurant was a wonderful buffet. The only problem we experienced was a broken ice machine near our room. Otherwise there were no problems. "Another good visit to our favorite Franklin motel"
A friendly, clean, comfortable motel in the perfect location for our family visits to the Franklin/Baldwin area. 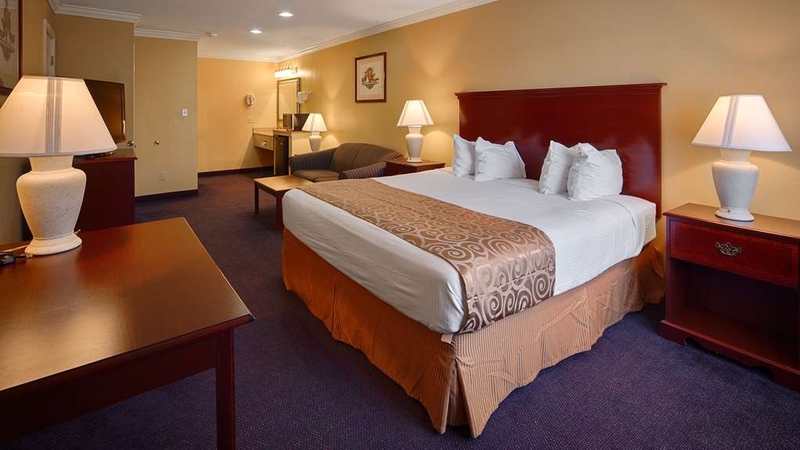 This is always our motel of choice due to the friendly staff and clean, comfortable rooms. See you again soon. Always a great experience. The breakfast buffet is one of the best that you can get from any hotel. The staff is always pleasant and helpful. The room I had was spacious. The room had a refrigerator, stove, dishes, a microwave and utensils. Thank you for the awesome review and we hope you visit us again soon. Stopped here on our way to Louisiana. From first dealing with front desk, everything was smooth. Nice breakfast buffet. Dinner great in restaurant. Tanya was very helpful. Seafood was fresh and well seasoned. Thank You so much for the great review!!! We hope to see you again if you are ever back in the area. "Franklin, Louisiana Best Western Forest Inn"
I could not have stayed at a better place for the days needed for a family member funeral. All of the staff members were so friendly and great!!! 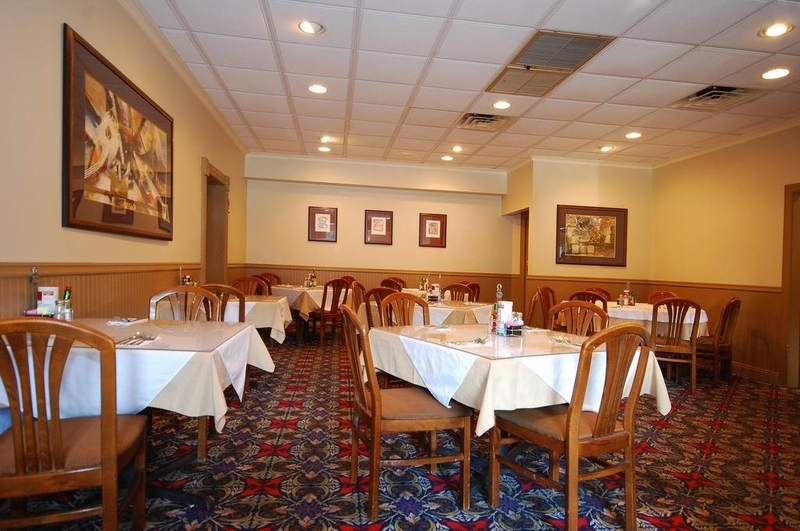 The restaurant at the Best Western Forest Inn has wonderful food and very convenient hours. I enjoyed the authentic Cajun food and the breakfast buffet is awesome!!! Thank you for everything!!! Thank you for your great review Ms. Teresa. We are very glad that we could help you and your entire family in your time of sorrow. 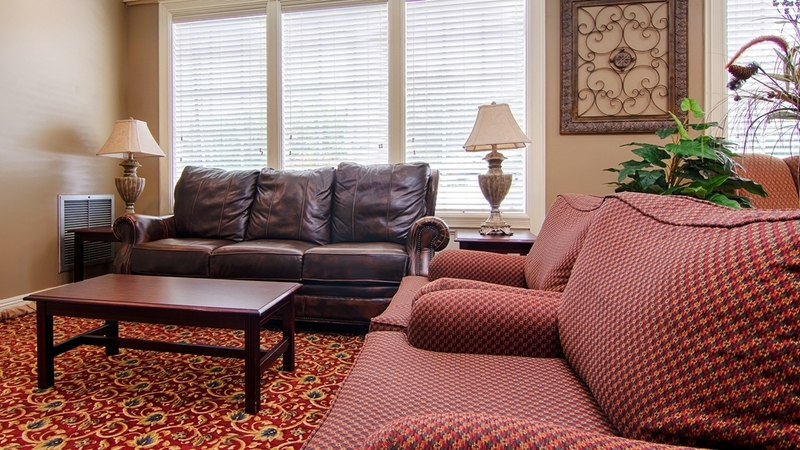 We hope that when you return to Franklin...you continue to chose Best Western Forest Inn. "Good place to stay in Franklin"
Hotel & staff were nice. Restaurant was good for dinner. 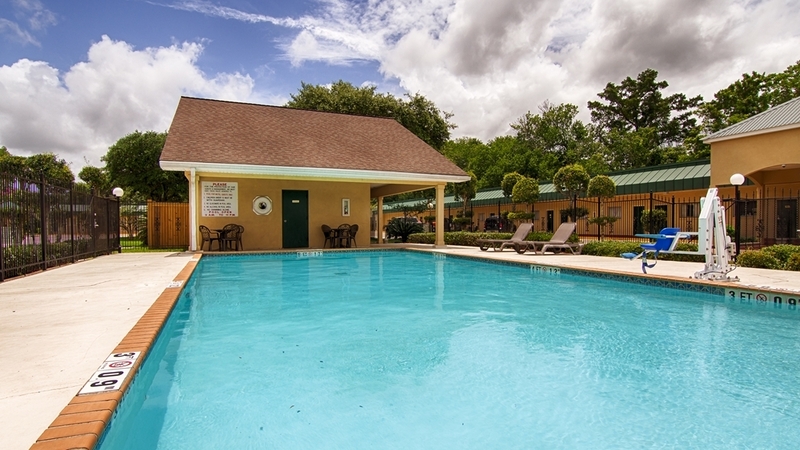 We had stayed before, and chose to stay again this year during Tour du Teche canoe race. Only problems were minor - our room was at back of motel area & internet didn't work in far area of room. I stayed there due to the convenience of location to a buseness need I had in the area. I first had reservations about staying there due to it being a "motel" style rather than a "hotel" style facility. However, the grounds were immaculate and the room was cleaner and nicer that most all other "hotel" style places I've stayed in anywhere near the price of the Forest Inn or slightly more. We appreciate your wonderful review of our property. 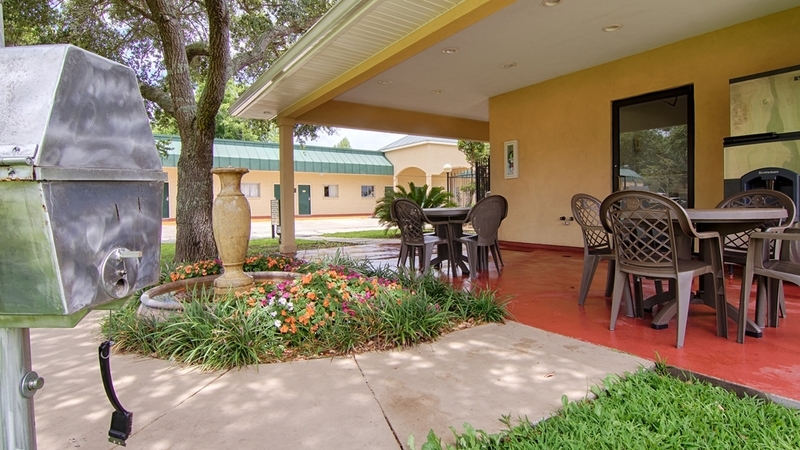 We are an older outdoor corridor property, but have remodeled each room several times over the years. We hope that if and when you are in the area again...that you chose our property. Thanks again and have a great day!!! On business in this area of Louisiana. Booked this hotel via Internet without really looking at the description. Arrived very late after flying into New Orleans and driving almost three hours. Check-in was a breeze. The clerk greeted us with a friendly smile and was very courteous. We were two people each with our own rooms. The hotel was made up of several standalone buildings that were likely built at various times over the past. The hotel is actually a motor lodge type where the door to the room opens up directly to the outside parking area. I wouldn't recommend this type of place to someone traveling alone, especially a woman. There didn't appear to be security at this hotel. Upon entering the room, the air conditioner was on and it was very cold. The room had a stale odor but it wasn't unbearable. It seemed that the humidity is likely the issue with the odor. There were two queen beds. The bed was comfortable but pillows were extremely soft and saggy, not to my liking. Bathrooms cleanliness is most important to me. The bathrooms were updated and clean however the tile floors were not swept or cleaned well enough after the previous guest. There were crumbs and other debris on the floor. Had to cover the floor with a bath towel. Breakfast was included with the price. The attached restaurant, The Forest, provided a buffet breakfast. There was a good selection of fresh fruit, cooked entrees and cereals. The eggs were a disappointment as they were very likely the freeze dried type that only require water to reconstitute them. They had eggs available cooked to order but I found this out after eating. No one offered this option. The rest of the food was pleasant (cheesy potatoes, French toast, grits, etc). Strangest item on the buffet was corn-dogs. Not good for breakfast but probably there for the kids. All in all, the hotel and the restaurant were a good value for the price but they do need to pay more attention to cleanliness of the rooms. Maybe inspections should be done by managers after cleaning crews are done. If returning, I would give another try. Thank you for the review of our property. Yes we are an exterior property that indeed added a building one at a time over the years. 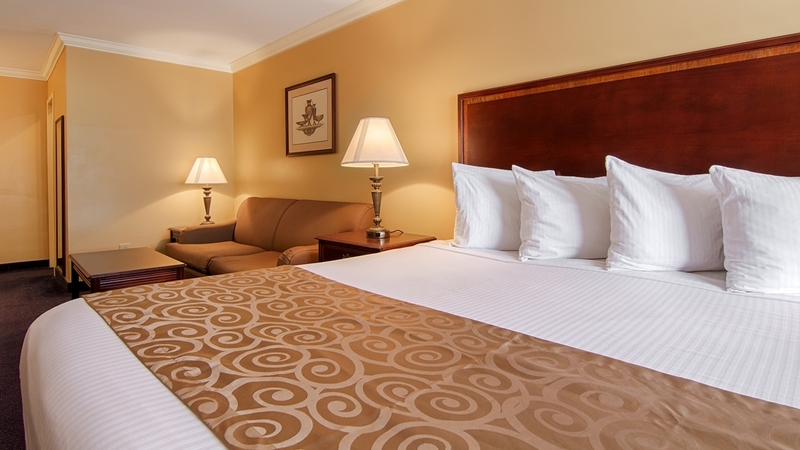 All of our rooms have been remodeled several times over the years as well. We appreciate the positive words that you gave and recommendations as well. 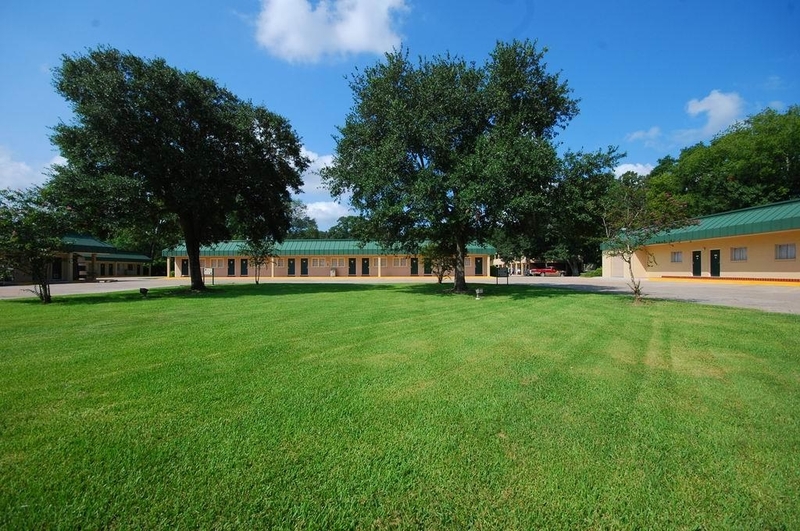 If you are ever in the area, we hope that you stay with us in Franklin, LA. Have a great day!!!! My 2nd stay was even better than the 1st, everything was up to date with great staff, breakfast, and the awesome center pool, porch, and BBQ area all under large oak trees. It is only 5 miles to Cypress Bayou Casino so concerts, etc. are minutes away! We were very pleased with our weekend trip to Franklin, Louisiana.This was my wife's 50th class reunion, which was also held at the Forest Inn Best Western there. The food was "out of this world" ! From the time we arrived to the moment we left, everyone there was very accommodating,so polite, and helpful to both of us. We would recommend this nice and clean motel to anyone !It made our trip so much more enjoyable. Our friends and family all had a great time ! We had to stay in this hotel to visit with family. We had never stayed before and did not know what to expect. We are 6 people in our family so we usually have to get a big room or a suite. When we booked our room I was skeptical, but when ahead and booked the room.anyway. Well when we arrived it was a big room and had everything we needed even a full kitchen. That was great. we will be staying there again. Thank you so much for your wonderful review of our property. 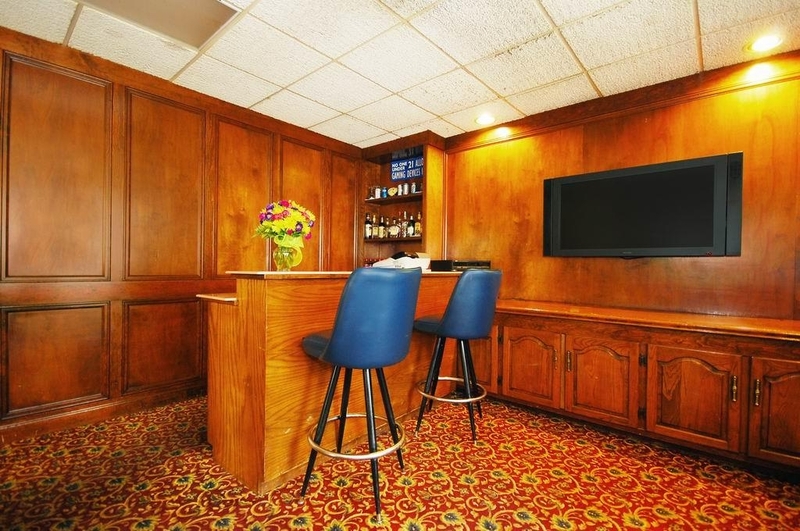 We are a unique property because we have several "one of a kind" suites to accommodate almost any guest. 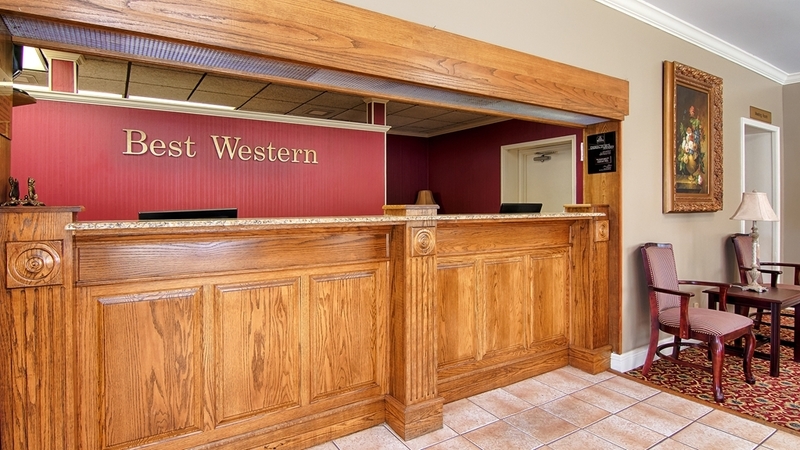 We take pride in our exterior corridor property and hope that if you are in town again..that you choose to stay with us here at Best Western. Thanks again and have a great day!!! 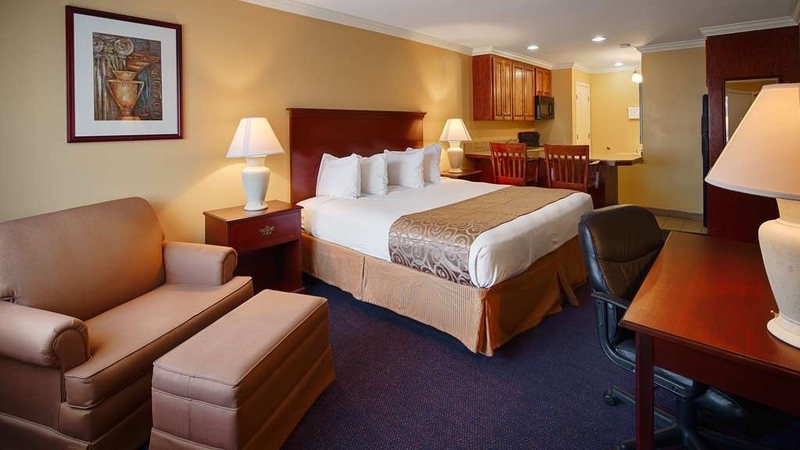 I would recommend the Best Western Forest Inn, in Franklin, Louisiana to everyone.. Service was GREAT rooms were very clean and the food was excellent at the restaurant.. The location was great also to get around in Historical Franklin and to and from the interstate.. O yea might I add the breakfast was the bomb... Thanks for nice visit! "Business trip to Franklin, LA"
Happened upon this hotel in the fog, was headed to another hotel. 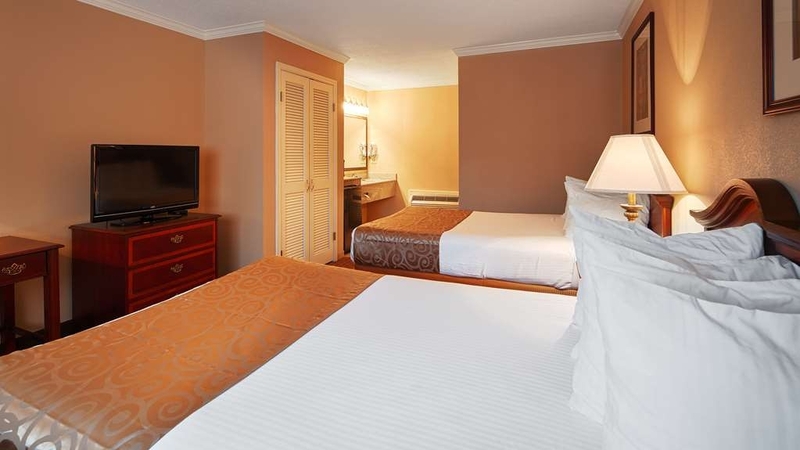 The room was recently renovated and done well. Breakfast was at the adjoining restaurant with fully stocked hot breakfast buffet. Great food for lunch and dinner also. Didn't have to ask for any extras during the trip. The room was well supplied with all toiletries and towels. What a pleasure to stay in this clean, quiet, well maintained facility. We enjoyed our evening. Wifi was good, lots of channels, great shower. CLEAN! Thank you! We were able to do the laundry and get ready to head north. Thank you so very much! I've never stopped in town before and figured I'd be stuck in some flea bag motel, and wound up here. Not only was my room nice and clean, comfortable and quiet like a motel should be, while checking in last night I met the owner, who not only is an American fella, he's a local man with a very nice property! We have used this hotel for 10 years for business. In 10 we have never had a problem or issue. The full breakfast buffet is fabulous. The cajun staff it always professional and polite. The rooms are clean. It is such a small town you would never believe how nice this hotel is. They shame allot of the bigger hotel my company uses for business. 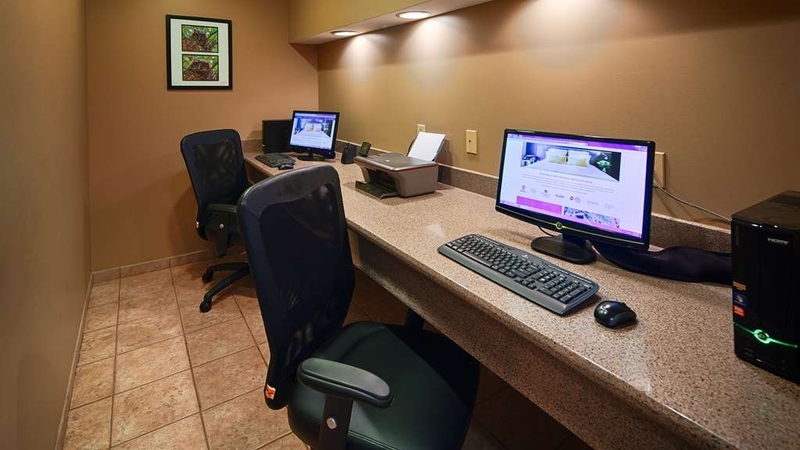 A comfortable, clean room with friendly staff. Bambi was fantastic help at check-in and check-out. Forrest Inn Restaurant provides a very nice complimentary breakfast buffet. Wifi was patchy. Nice pool and BBQ area. Wonderful accommodations and friendly, helpful staff. Would highly recommend this hotel. We were upgraded to the jacuzzi suite and enjoyed the variety of offerings at the continental breakfast. Easy access from the Evangeline Throughway. Everything from making reservation to check out was excellent. The whole experience was great and would recommend to anyone traveling in that area. 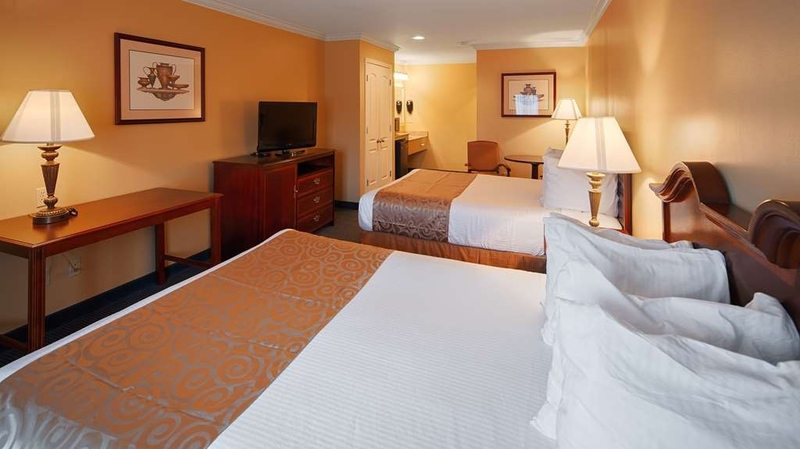 The rooms clean, spacious, and the workers were most helpful and made you feel welcome. "Best place to stay in Franklin"
Older property but nice rooms to stay in, not as clean as I would like but compared to what other people say about the hotels in the area, sounds better than the rest. Nice free breakfast buffet at the restaurant thats attached Tues through Saturday.